Hello friends! I hope you are having a wonderful Sunday! I am back with Part 5 of our Myrtle Beach Travel Vlogs. This one is the last besides a little wrap up that I plan on filming today or tomorrow. I hope you guys have enjoyed seeing little parts of our trip. There was a lot I didn't share because after all, we were there to spend time with our family. But I do hope you enjoy this final vlog of our time there. As I mentioned....I plan on recording a video today or tomorrow with my final thoughts about our vacation, where we stayed, how I planned and budgeted for it....along with a bunch of other travel stuff! 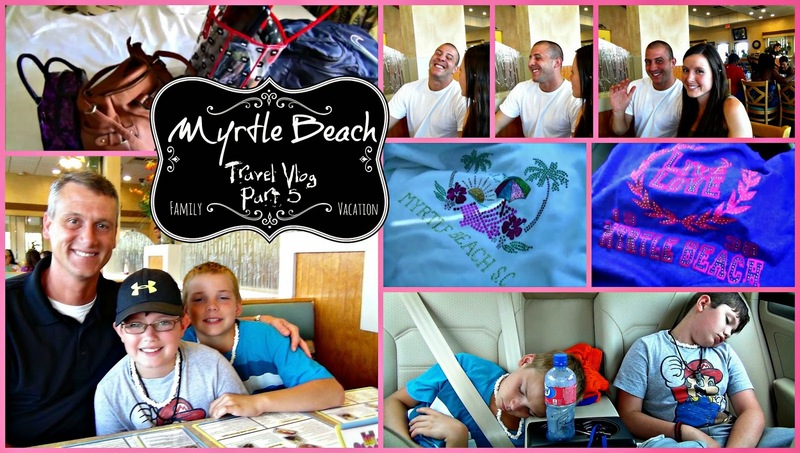 If you missed any of our previous travel vlogs from Myrtle Beach....here they are!